With disc brakes allowing for wider clearances on frames and the explosion of interest in gravel and adventure riding, wider tyres are creeping onto a lot more builds these days. Where once running a 25mm tyre was considered outré, 28mm is rapidly becoming pretty normal. If you are riding cobbles, gravel or dirt, then 30mm and up is the way to go. We'll be posting some more on the science behind rolling resistance soon - yes, fatter can be faster! 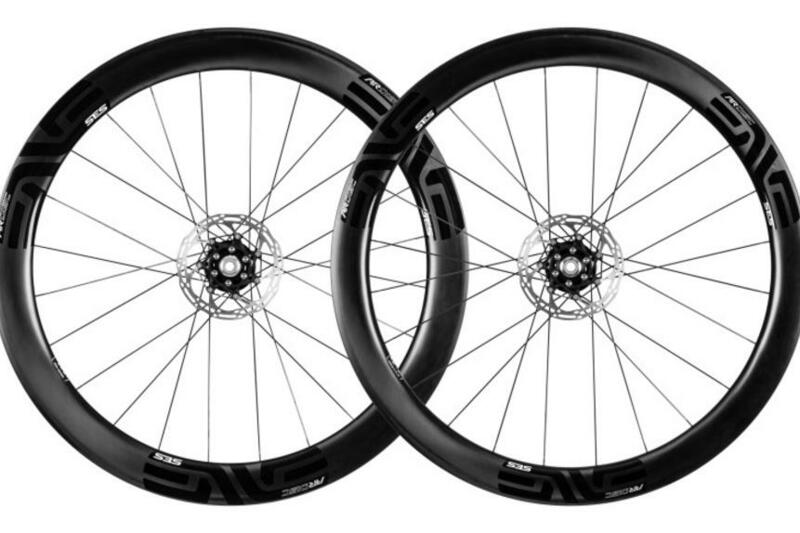 - but in the meantime check out these ENVE SES 4.5 AR Disc Wheels . A whopping 25mm internal diameter and recommended for tubeless use only, these are the new bad boys on the block for the all-road market. We've started spec'ing them on some builds already, with more in the stand as I write, so you'll be sure to see these all over the place soon. You can see more of these on our ENVE product section HERE . Look out for more on these soon!